Our recent E-LASS event was very successful, organized in Piteå jointly with the EU project RAMSSES. Between 70-80 persons attended the event in the cold north and participated in our and RAMSSES joint activities, including a much appreciated tour on board the ice breaker ‘Arctic Explorer’. You can find a full summary of the event on our website, including presentations from the seminar day. 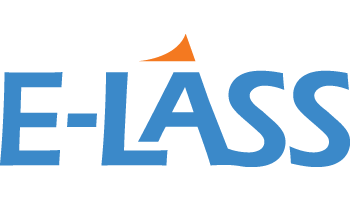 Visit – https://e-lass.eu/summary-e-lass-in-pitea. tour, the event also marks a milestone for our community as it will be our 10th E-LASS meeting together. Finally, I would like to invite all of you to the LIGHTer International Conference taking place 20-21 November 2019 in Gothenburg, Sweden. LIGHTer is a Swedish multi-sectorial industry-based lightweight arena. The conference includes four main sessions with different focuses: Cost, Developing times, Mixed material solutions including joining and Improved material properties. The conference attracts professionals from both small and large industries as well as universities and research institutes. Learn more about the conference by visiting thiswebsite. The deadline for abstract submission is April 15th and if you would like more information you are welcome to contact prof. Erland Johnson.